Make your holidays a little sunnier with this adorable plush. This holiday season, you can make sure your disposition stays Sunny with this sweet plush made to look just like TODAY's puppy with a purpose. The plush is now available on the NBC Store website. Make sure you hurry — in order to get him by Christmas, you'll need to order by Dec. 9. 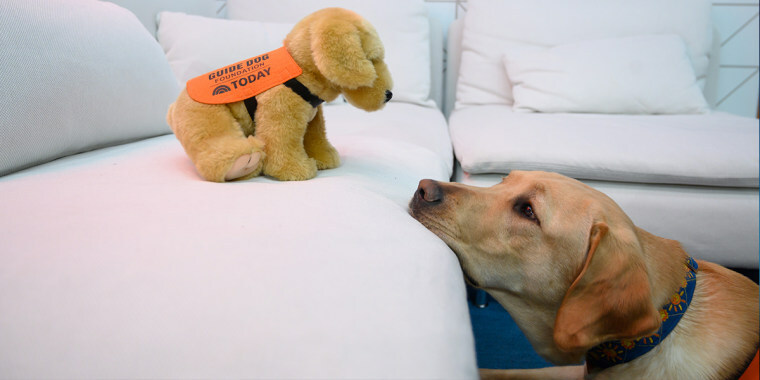 Sunny is a Labrador retriever who’s training as a guide dog with the help of the Guide Dog Foundation, a sister organization of America's VetDogs. Ten dollars from each purchase of the Sunny plush will support the foundation. Sunny joined TODAY in late February and has since reached some notable milestones alongside his trainer, Olivia Poff. He recently guided a blindfolded Poff through a 25-minute route around New York City’s Upper West Side. While Sunny's made big strides, he's also managed to have some fun along the way. He's made sure to scope out the Rockefeller Center Christmas tree, and he's met lots of celebrities who love him almost as much as we do. 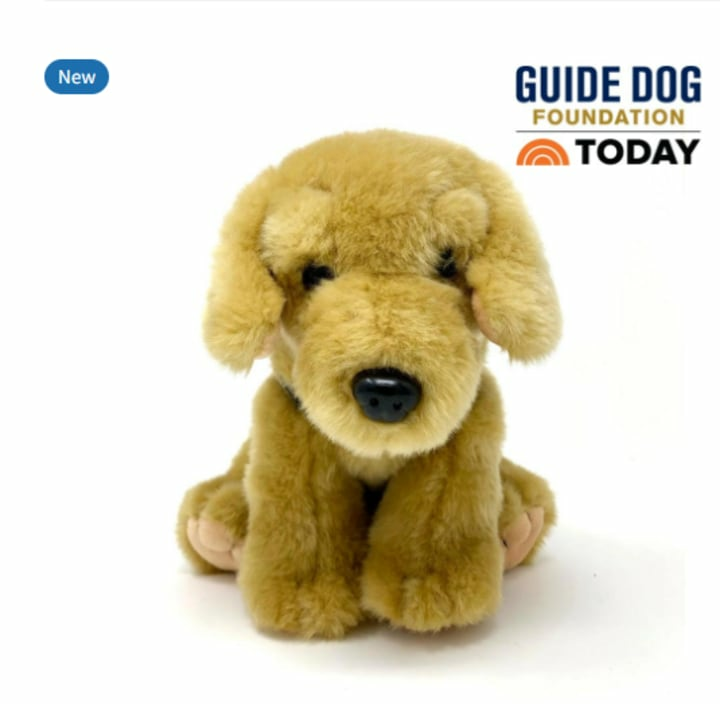 While the real-life Sunny will become a perfect guide dog, he can now make the perfect addition to your household — in stuffed animal form, of course. Stay connected to Sunny by signing up for updates here. Sunny, TODAY's Puppy with a Purpose, passed a big milestone!